The more you travel, the more you start to look for the places that don’t appeal to the hordes of tourists finding their way to Costa Rica every year. This can be because of limited accessibility, limited amenities, limited exposure in the glossy tourist magazines, or all of the above. 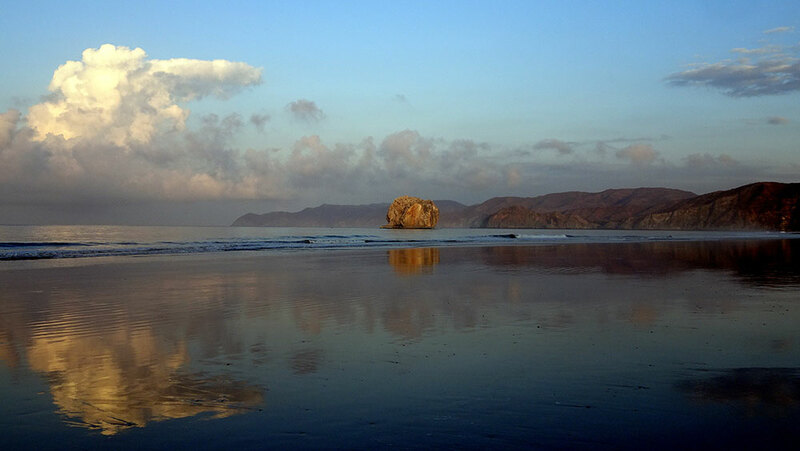 This is the case for Santa Rosa National Park and specifically, Playa Naranjo. Getting there is no joke, but more on that later. Playa Naranjo is part of the national park so there are no hotels, no bars, no restaurants and no shops. Only a designated camping area and a ranger station. 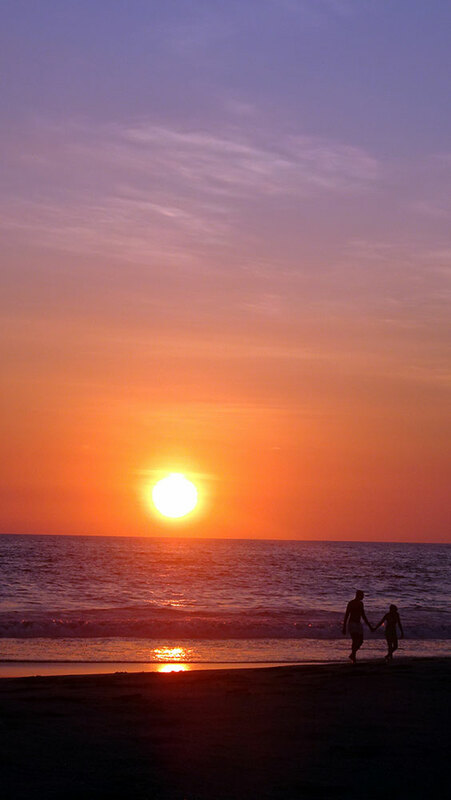 It is a fantastic and challenging trip to take on and a stunning destination for those looking to mix it up a bit and desire more than the average Guanacaste beach. 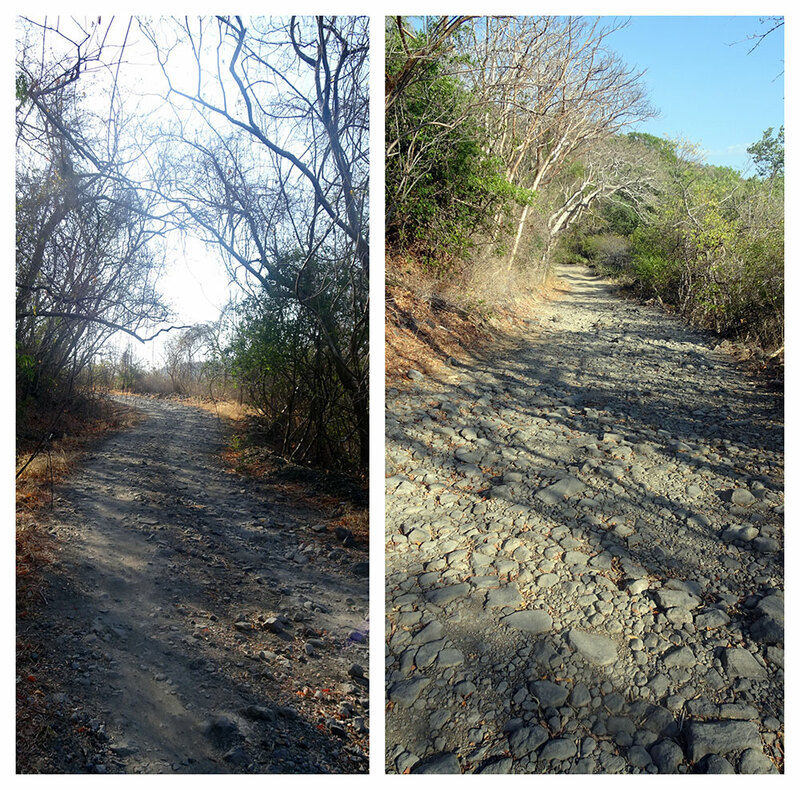 The trouble with an intense mountain biking trip in the fierce Guanacaste sun is that you need water. Lots of water. Since we knew we were going to a place where you couldn’t get anything, not even from the river because the crocodiles were too many, we had to bring 2 days worth of water with us as well as all the food we needed. We brought 18 – 20 liters of water (for two people) and we drank almost all of it. Next to a helmet and cycling gloves if you have them, you will need powerful sunblock and sunglasses, especially during the dry season between December and May. We also wore protective sleeves which helped a lot. The temperature came close to 40 degrees Celsius on both days (around 104 degrees Fahrenheit) and until you get to those last couple of kilometers close to the beach where the vegetation gets thicker, you will not get any shade. Other than the food, water and sun protection, we brought a tent, sleeping mats, a towel, basic hygiene products (if you want to bring soap, get the kind that is biodegradable) one extra set of clothes, some basic emergency bike repair tools and of course my camera. We didn’t bring much in case of injury because we stupidly forgot about it, but you should. Not only are you in a pretty isolated area, but the road heading down to the beach can make for a very nasty fall if you’re not careful. If you get into trouble on the way, you will not get any phone reception but locals do like this beach and they come by now and then, usually with a car. At the beach itself there is a ranger who is always available and at the start of the mountain biking trail, there is the Casona and war museum where you purchase your tickets to enter the camping grounds. 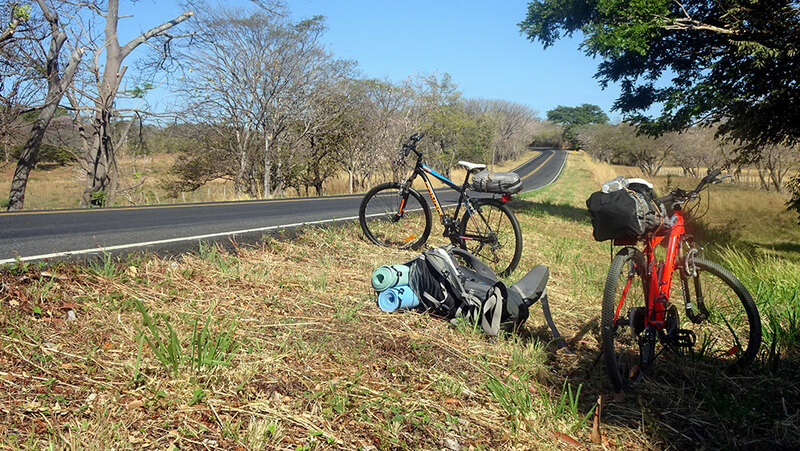 For some reason, we thought it was a good idea to start our trip around 20 kilometers before the 12 kilometer mountain biking trail to Playa Naranjo. 12 kilometers just sounded like such a short distance and 30 sounded a little better. We decided against starting from Liberia (thankfully) and took a bus until we were about 10 kilometers removed from the Santa Rosa National Park entrance. 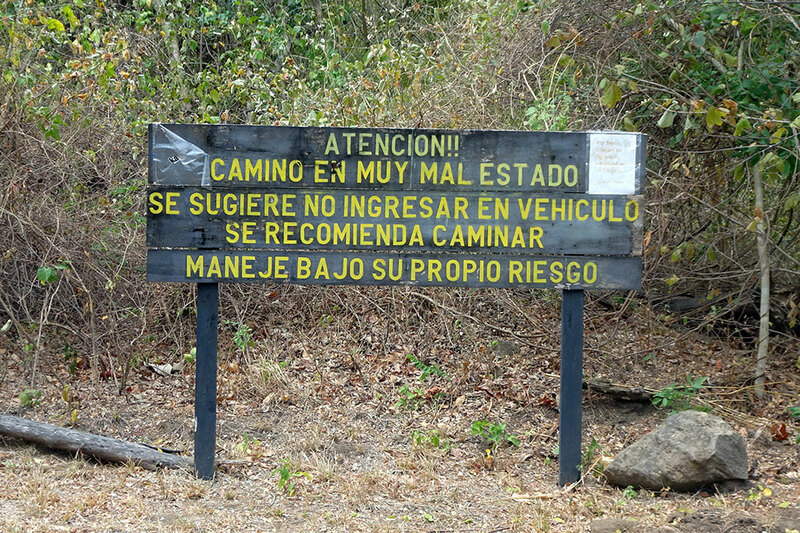 From that entrance it is close to another 10 kilometers to the Casona and from there the 12 kilometer rough road down to Playa Naranjo begins. To be honest, the 20 kilometers road leading up to the beach trail was not *that* challenging. There were plenty of hills to climb, sure, but the thing that gets you is the sun and complete lack of shade as well as the weight of the stuff you are carrying. Do not underestimate it. There are several places where you can take a break and enjoy a great view. On the way to the Santa Rosa entrance, you will get some spectacular views of the Orosi volcano on your right and a great chance to spot birds. 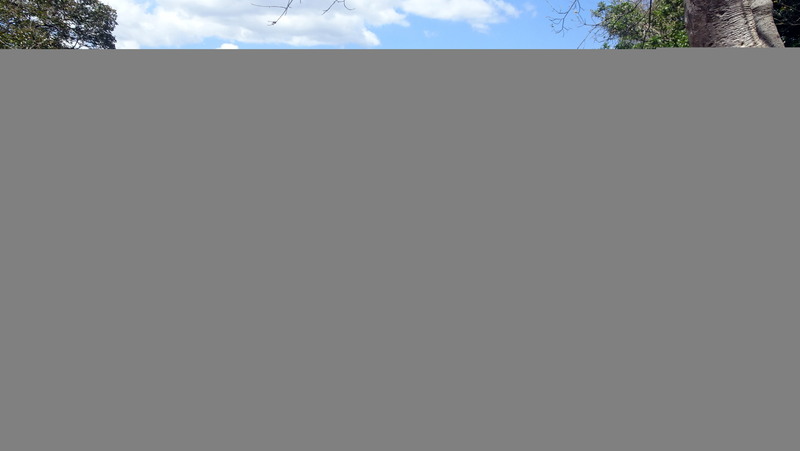 Once you get to the national park entrance, you will be met with an equally sunny but less busy road that heads to the Casona. We had had a very short night and were already exhausted prior to leaving and it is on the side of this road where took a welcome nap. March 20th, 1857. North American lawyer and filibuster William Walker moves his army into the region that is now the Hacienda of Santa Rosa. Walker’s vision to convert the whole of Central America into slaving territory will meet its first real resistance here. He had already appointed himself Commander in Chief in Nicaragua where a failing regime could do little to resist his ambitions. Walker’s international army of mercenaries may seem like a tough enemy to beat. But with the element of surprise and the drive to maintain an independence that was won only 36 years earlier, a makeshift army of Costa Rican civilians completely overwhelmed the mercenaries. The battle lasted all of 14 minutes and pushed Walker’s forces back into Nicaragua. Less than a month later, the deciding Battle of Rivas claimed victory for the Costa Ricans and turned a drummer boy named Juan Santamaria into a national hero. After a break at the Casona, we started to head down the trail. The beginning was marked by a very motivational board that pretty much told people to walk because of the terrible state of the road. If you plan on traveling by car, only a 4×4 will do. Any other car you could damage severely. The road didn’t seem that bad in the beginning but the closer we got to the beach, the rougher and steeper it got. It was on one of these very steep hills down that my brakes decided to stop working. I was able to stop safely, luckily, but it did make the rest of the trip a very slow one. This bike had actually never been used before so it was clear that they had just put some very cheap brake blocks on there that couldn’t even survive half a trip. I spent the rest of the way down internally rehearsing how I would threaten the shop keeper and demand free replacement quality parts or otherwise sue him for nearly getting me killed. I have calmed down a little since then but still intend to demand he replaces them for free. The suing part will depend on the level of his cooperation. My husband wasn’t spared his share of bad luck either. His outer tire got damaged pretty badly on one of the sharper rocks. 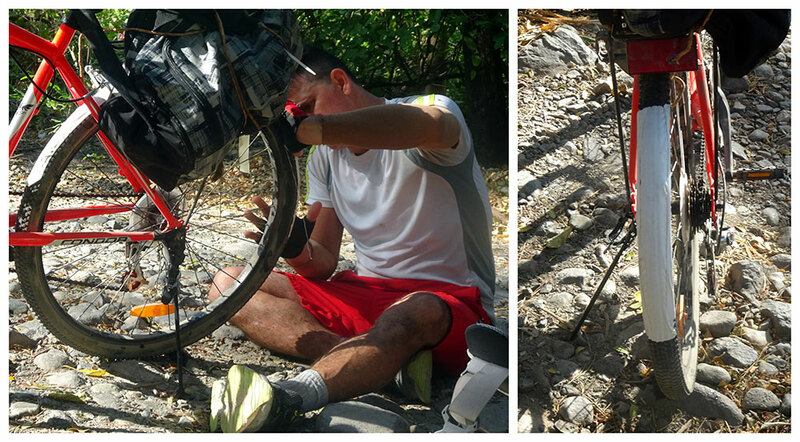 We got to the beach alright but the next day we would mainly have to walk back due to the damage to his bike. And also because riding up those steep hills is pretty damn tough. Santa Rosa National Park was established in 1972. Although the historical significance due to the battle was a main motivator, the local flora and fauna also warranted protection. Santa Rosa consist of 10 unique natural habitats and houses 250 bird species and 115 mammal species. Playa Naranjo hosts nesting sea turtles even though most of them frequent Playa Nancite right next door. While Playa Naranjo is open to the public, Playa Nancite can only be visited by biologists or documentarists who obtain a special permit. The last 3 kilometers were very easy and the air was already tinged with a salty scent. After we crossed a very wonky bridge, we saw the ranger station on the right and the parking lot on the left. 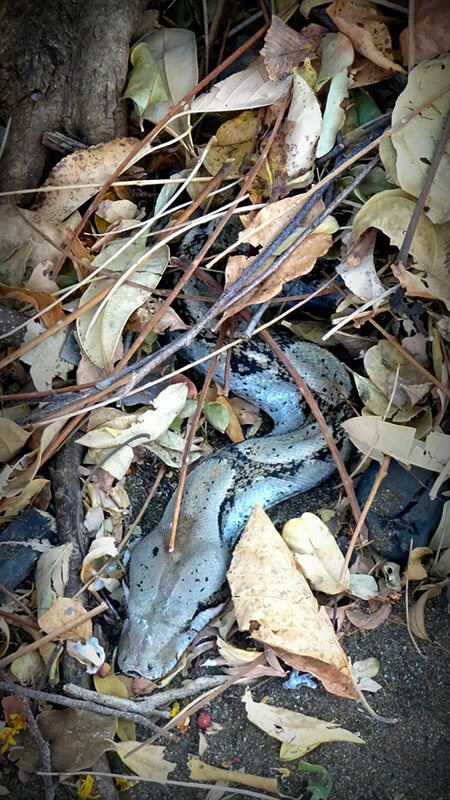 We registered with the ranger and were told that there is a designated camping area – do not camp outside of it. You cannot build campfires and can only cook using a gas cooker. There are a couple of barbeque areas you can use as well as two “showers”. These are outdoor showers so there won’t be a lot of water – shower quickly, and make sure to keep an eye out for scorpions. There are no garbage cans so anything you bring, you take back with you. Be respectful and leave nothing but your footprints. After having set up camp, we had some food and relaxed on the beach. It was one of the most beautiful beaches we had yet visited and the lack of crowds only made it more so. It was very easy for us to find a quiet spot and be alone. The next day, we got up early and took a walk on the beach. We walked all the way to Roca Bruja, or Witches Rock, before returning to break up camp. This stunning rock looks strangely out of place and gives the beach a rather mystical character. Playa Naranjo isn’t really known to anyone except surfers. The seasoned surfer who is up for a challenge will definitely want to come here. There were a couple of surfers who arrived on the same day we did and had planned to stay for a couple of nights to take full advantage of the waves. The rest of us were simply there to enjoy a remote beach that is completely untouched. A nice change from the otherwise overrun or overly developed shores. Since the way back was practically one big climb, it was pretty hard. The sun felt even more grueling than the day before and we were running through our water at a much faster pace. Luckily, we had foreseen the difficulty and had arranged for a friend of Allan’s to pick us up at the Casona. He would arrive at noon and we got there around 11. We cast our bags aside an threw ourselves in the grass. It had been a challenging trip but one worthwhile. Despite the damage to the bikes and subsequent difficulties, we were still happy we traveled this way and not with a car and massive cooler full of beers like most others. Allan’s friend arrived 10 minutes early and we left for Liberia immediately. The comfy car seat and strong winds coming through the open window were pure bliss.